Thailand: Bangkok Bank Public Company Limited announced its international FinTech accelerator program, Bangkok Bank InnoHub in partnership with corporate innovation partner Nest. The 12-week intensive program will take place in Bangkok, Thailand, aiming to exemplify the bank’s drive to inspire innovation and solidify its commitment to innovative new technologies. As the country’s leading commercial bank, and one of the largest banks in Southeast Asia, Bangkok Bank noted its commitment to supporting Thailand’s innovation ecosystem and uniquely positioned to offer high-potential, local and international FinTech startups the opportunity to gain validation and scale over an accelerated period. Over the course of the 12-week program, Bangkok Bank and Nest will work with up to eight early-stage companies that are looking to accelerate their growth with the support of a leading financial institution. 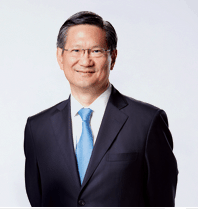 Bangkok Bank President Chartsiri Sophonpanich said the Bangkok Bank InnoHub program will give local startups an opportunity to expand regionally and internationally while offering global startups an opportunity to collaborate with Thai and ASEAN communities. 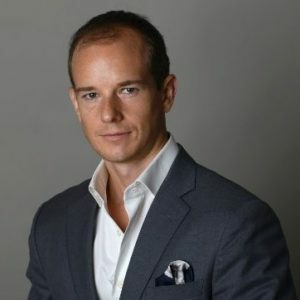 Founders selected to join the program will gain unique access to Bangkok Bank and Nest’s global network of specialists in technology adoption, who will offer strategic advice to help prepare them for a potential pilot project or integration with the bank. Supplementary curricula, delivered by a team of innovation experts at Nest, and dedicated mentors in the program will also aim to help startups gain ground on their individual objectives. Bangkok Bank InnoHub will also give the bank’s new venture capital company, Bualuang Ventures, the opportunity to explore investment opportunities with some of the world’s most innovative financial technology companies. The program, which is now accepting applications, begins in June 2017 at Bangkok Bank. While Bangkok Bank and Nest welcome applications from all FinTech startups, the content and opportunities presented over the 12-week period will particularly benefit early-stage companies developing technologies for payments, electronic Know Your Customer (eKYC), machine learning and artificial intelligence (AI). The global call out for founders is also geared towards companies with technologies that have direct relevance to the Thai market, or potential for adoption in the ASEAN market. The program is open to FinTech founders of all nationalities, aged 18 and over. Applications will open today and close on 10 May 2017. The program concludes on a Demo Day in September 2017, an event where the selected startups will pitch their business to Thailand and ASEAN’s investment community in a bid to secure funding and partnerships.